"I had expected ordinary, and I got extraordinary. Isn't that just like God? You may not know what's coming in life, but it wouldn't be any fun if you did. Plus, you might refuse to participate because what if you got hurt or couldn't control most of life, which you can't." After having triplet boys at the age of 47 Betsy Singleton Snyder found herself at home, with four little boys (she had one son already, when the triplets arrived), trying to figure out how to manage life, count her blessings (all of them! ), and continue to connect with God in the middle of the chaos. Betsy's book, Stepping on Cheerios, is all about leading and embracing an unconventional life--even if you didn't intend to! The book is an honest reflection of the joys, challenges and questions that arise when we jump into the deep end of raising children. It's about learning to embrace our uniqueness, our children's uniqueness, and who we become as a family-- all different, individual and unique, but called to work together as one (kind of like the body of Christ!). 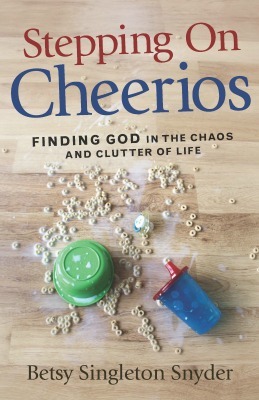 I found Stepping on Cheerios to be hilarious, truthful and authentic, with a good dose of encouragement and reminders to continually look for God in the middle of "it all". The casual and witty tone with which Betsy talks about everything, including faith and Jesus, might feel irreverent to some readers. While there were moments that it pushed the envelope for me, I was willing to come along for the ride and embrace the candor because I found much of the sarcasm about our culture to be spot on (we Americans have some pretty crazy pop-cutlure, so why not be flagrantly honest about it, right?!). I really enjoyed Chapter 5: Whoever The Kids Are, They Are God's, where she talks about embracing her kid's interests, and letting go of our ideas for them in the process. Her boys, for example, all decided to try ice-skating and really liked it. "Its ok if your boys like ice skating or dancing, and it's OK if your girls like building things and playing with trucks. Dang. I always wanted a slot car racetrack," she says. Lesson learned: let your kids be who they are. More importantly, let them be who God designed them to be! Snyder points out that Jesus wasn't a follower of cultural norms himself. "Let's be honest," she says, "Jesus hung out with anybody, like anybody...Jesus would literally eat with anyone, and it goes him in trouble with certain religious authorities, and it might get us in trouble. I'm pretty sure that Jesus would get some haters on Facebook with all his jazzed-up coloring outside the lines...I'm love Jesus precisely because his ministry startles our comfortable settled lives." Can you really say "haters on Facebook" in a sentence about Jesus? It wouldn't have crossed my mind, but I do love that Snyder pushes the boundaries here! It's truth, isn't it? "We grown-ups sometimes forget how much childhood matters," she goes on to say, "It's filled with the sacred and it is not to be missed when it comes around again during parenthood. And parenthood is the time of spirit formation in which we don't realize until later that everything kid-drenched around us was and is a gift." I have found this to be true in my own parenting over and over again...the irony, that God makes us parents just around the time that we have forgotten what it's like to be a child. To jump into pools with total abandon, to let a dog lick your face without pulling away, to see the beauty of a dandelion without calling it a 'weed'...and so much more. Stepping on Cheerios is a light and witty read reminding us to continue to appreciate these wild and crazy moments. It's a book that reminds moms that Jesus isn't too busy for our sippy cup and goldfish cracker lives-- "Isn't it just like God to show up where you're working your tail off? Jesus met people in their workplaces and in their homes. Jesus came to Peter, James, and John, who were busy fishermen, trying to mend their nets. Jesus met a Samaritan woman who was trying to get water for her home. Jesus met Matthew in his little tax booth...God is a very involved parent, so don't ever think you've got to line those rubber duckies up in a neat row before God is swimming with you." This is a fun book for any mother in the "thick of things" who wants something light-hearted to remind her that she is doing a great job. But, it also serves to compel moms (or, parents in general) to re-look at some of the things we deem as normal, and to think about how we are pointing our kids, and everyone we meet in the process of raising them, towards Jesus. 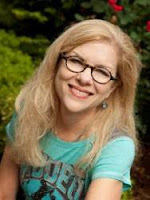 Betsy Singleton Snyder, author of "Stepping on Cheerios," is a pastor, a former missionary to the arts community, writer, and blogger. She and her husband, Dr. Vic Snyder who formerly served in the U.S. House of Representatives for 14 years, live in Arkansas with their four sons, Penn (10), and triplets Wyatt, Sullivan, and Aubrey (8). You can read more about Betsy at https://www.womenadestand.com. 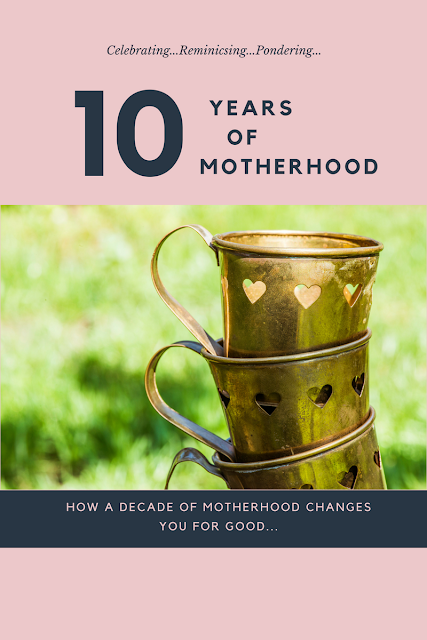 Celebrating and Reminiscing a Decade of Motherhood! I turn 39 today. I know, way to close to 40, right?! Ava turned 10 two weeks ago. My baby, the one who made me a mother, turning the double digits and almost as tall as me to boot! We keep telling her to stop growing...she just won't listen. What does that all mean? Well, it means I've been a mother for approximately 3,650 days, give or take a few. It means that I've learned, grown, stretched, been challenged, tested and inspired in many more ways than I can count in those 3,650 days. It means I've been more tired than I ever thought possible, more befuddled by parenthood than I ever dreamed imaginable, more inspired by watching my children grow than I could have ever understood. It means I am still the same woman, but a completely different woman than I was ten years ago. It means that I have been a mother for a decade. I delivered Ava on June 4th, 2007 at the early morning hour of 12:24 a.m., thus ushering me into this new adventure, this whole new world, this crazy life called motherhood. The sweet little blond-haired, blue-eyed girl, who clung to my leg every time I dropped her off in the nursery, who taught herself how to ride her bike, tie her shoes, and braid her Barbie's hair, who loved Curious George but hated The Little Mermaid because it was too scary...That little girl is growing up right before our eyes. How did it happen so fast?! How did we get here already. We all ask that question so many times throughout this journey. I will continue to ask it at all of the different "here's" that are still to come. She's changed, we've changed, Ella and Aubrey joined the party 8 and 4 years ago respectively-- they've changed changed too! I supposed if there is one tried and true thing to say about family life, or perhaps life in general, it's that there is perpetual change: always! We are constantly evolving as individuals, and as a family...sometimes that feels good, other days it feels hard, sometimes it's plain old messy. But then someone will do something extraordinary (paint a picture, learn to ride a bike, make a really good cake, run a race, plant a garden, make a new friend, dance in a recital, learn a new song on the guitar) in the middle of our crazy family life and we all smile and celebrate together. It's in those moments that everything feels just as it should be. Crazy. Messy. Blessed. I laugh at times because I can't remember anything else I've done for an entire decade (besides being being a wife, but that's another story entirely!). After college, I worked in several jobs that I enjoyed-- one in publishing, another in fundraising at Christian school in Massachusetts, and then as a high-school English teacher for what amounted to about a year and a half. In each of those positions I'd jump right in whole-heartedly, only to meet the inevitable challenges and frustrations of the job, and eventually decide that maybe it was time to look for something new. I'm embarrassed to admit this, but I was a bit of a job jumper in my 20's-- always looking for the "right fit". I won't offer reasons or excuses, though I've learned a LOT about myself in the last 10 years and could give a pretty good synopsis if you asked. The reality is that I never stayed in one place long enough to really, really, grow as a person. That has been the delightfully funny and hilariously ironic lesson in motherhood-- no matter how hard it gets, you can't back out. When you get that inkling that maybe you and this motherhood thing aren't 'quite the right fit', well, you better figure it out because you can't send your resume elsewhere. If Lesson #1 is Things are Always Changing...Lesson #2 is You Can't Do This Alone. Along the way, over the last 10 years, I have realized that I cannot be the mom I want to be without God's guidance and wisdom on a daily basis. I'd be a mess without God's grace by my side. I might still be a mess somedays with Him by my side, but I like to think I'm less of a mess! I'm thankful for His presence. I thankful for His wisdom. Motherhood has taught me, beyond a shadow of a doubt, what dependency on God means. Big, whole-hearted, daily dependence on God to equip and guide this often unclear, unmapped, journey. I did not know that being a mother would change me forever. In motherhood, I don't even recognize myself anymore; I am some new version of who I used to be. I kind of resemble me, and sometimes I sound like me, but his new person has lost all sense of fashion and vocabulary...No one ever told me that mothering would require more than I posses, the at the same time it would be energizing and draining. Mothering has strengthened me as a person and yet challenged me right to my core. Loving my children can fill me up, but some days, it will completely empty my soul. To raise children means you are constantly giving-- all of your energies, all of your emotion, all of your time. Often I realize that my well is empty, my mind is numb, and my heart is heavy. There is nothing left for anyone. As a woman of God, I must care for the condition of my soul. As a mother, I must set my eyes on the Author and Perfecter of my faith, committing above all things, even the precious gifts of my husband and my children, that my Jesus will come first. I must do whatever it takes to maintain the wellness of my soul- pursuing God with great passion. His mercies to be will be new every morning, strengthening me for every task and frustration, teaching me how to celebrate life, and caring for my soul. And from that place of grace and intimate fellowship with Jesus, I will be the mother God intended. I have been a mom for 10 long-ish/short-ish, years and have been irrevocably changed by the journey. Depending on the day it has felt like an eternity and a millisecond all at the same time. It's hard to put your finger on how motherhood changes you because the changes feel so monumental, and yet they happen so slowly-you can't always see exactly what's happening. In some ways, we grow right along with our kids. Just as we don't actually see them grow that extra inch over night, it happens in the quiet moments. Suddenly, one morning, they are taller and you are hopefully a little bit of a better parent than you were when you first started out. I'm thankful for the growth. I'm thankful for the journey. I love my kids like crazy and am awed by the privilege of getting to do life alongside of them. Since a list of all the ways I've changed would be far too long, I decided to have a little fun and put together a list of 10 Ways Motherhood Has Changed Me in honor of this 10 year celebration! 9. . I have far less time to make meals that look the ones on the cover of the magazines, even though I salivate over those very covers every time I'm in the checkout line. 8. I pay far more library fees than I ever thought I would. 7. I find myself saying things I never thought I would. Things like, "Please don't lay on the bathroom floor in the Target stall. That's the most disgusting thing I've seen all day! All year! In my entire life!!" 6. I rarely read entire books anymore. I think I have 4, or 7, or maybe 14 unfinished books sitting on my shelf right now...with another several dozen I've ordered on Amazon because I really, really LOVE books and fantasize about reading them when I'm passively browsing Amazon late at night. Maybe I should turn off the computer and open on of those books, huh? 5. I just started driving...gasp...a gray Toyota minivan. I felt like I joined some sort of undercover mom mob society when we first got it two months ago- I never noticed just how many of them were on the road, but there are a LOT!!! It sort of feels like a part of my mom uniform that was a long time coming. 4. I can be gloriously proud and feel completely blessed by one of my children one moment, and yelling at someone moments later. It's a roller coaster ride that seems to go up and down all day long. Summer vacation is notoriously full of these days! 3. My house feels like a perpetual cycle of disorganization, attempts at organization, like it's almost organized/cleaned up, and then it falls apart all over again. Quite honestly, at this stage, I'm not even sure what the word "organization" means anymore. Does it mean there are piles ALL over your house, but when someone asks you where the new toothpaste is you know just where to find it. If that's the case, I'm doing well! 2. I have learned to "let go" in a bazillion more ways than I ever thought possible-- that's a whole blog post in and of itself--all the things you have to "let go" of as a mom. It took me a l-o-n-g time to be peaceful about the letting go of some things, and I'm still in the process of letting go of others, but that saying, "let go and let God"...mamas, it's the only way. 1. Like the Grinch whose heart started in one place, but was slowly changed by his experience as the story goes on-- my heart has grown 32 sizes (maybe more!) in the last 10 years. In addition to my top 10, I am a more resilient woman than I was 10 years ago. The words perseverance and endurance have more meaning to me now than they ever have before. I've learned to take the long-term view on life because there are too many things in my immediate view that serve as nothing more than distractions (like the 63 unmatched socks on my living room floor). I am also more patient...though I don't always feel more patient! My logical explanation is that while God has stretched my patience barometer by light-years, He continues to stretch it even more...I'm not sure if you ever fully "arrive" at this one, but I'm hopeful. And, at the end of the day, I've come to appreciate the "stretching"...perhaps that's Life Lesson #3, Sit Back and Embrace the Stretch...It's An Important Part of the Journey. After all, the experts all say that stretching is good for you, so here's to embracing the stretch! If you have a moment, leave a note to say "hello" or tell me one way that motherhood has changed you the most.